Today, I offer readers the final piece of my older comparative analysis of “Dishonored” and “Macbeth,” published for the first time online. If you haven’t read the first two parts, you can find the first here and the second here. If you missed my first publication from this older works, which explains the overall project, defines terms, and analyzes “Majora’s Mask” alongside “Six Characters in Search of an Author,” you can find that here. If you follow the analysis to the end, you might just find a new perspective on the education system, and on system dynamics more generally. Readers can expect a thrilling new take on “Dishonored,” as well as With a Terrible Fate‘s adventures at PAX East, this coming week. The prophesied role, as described above, is generated by the potentiating body and resonates with the formative trait of the operative role. In our diagram, this is indicated by the prophesied role taking the same shape as the formative trait (in the diagram’s case, triangularity). Its form suggests the potential for actualization of the formative trait’s ends, graphically depicted by the way in which its form, though identical in shape to that of the formative trait, is not solid – though it eventuality may come to be perceived as a certainty, this certainty is still contingent upon the perceptual beliefs of the operant role. Because it can only become real in the future, its existence is indeterminate in the present. While we have already taken steps toward establishing how the prophesied role comes into being, the prophesied role’s nature can be further understood by assessing the psychical ways in which the operative role perceives and approaches it. The relationship between operative role and prophesied role is critical, because the prophesied role, by virtue of its existence depending upon to the operative role’s perception thereof, is necessarily dependent of a level of psychical investment on the operative role’s part. Because of the genesis of this investment from without (i.e., from the potentiating body), this relationship between roles has the interesting quality of an impressed vision of the operant role’s self, which the operant role then comes to see as belonging to itself. In other words, what we have here is a classic instance of internalization, where the internalized content is actually a self-concept. The Freudian implication of such psychical mechanisms is neurosis – indeed, given the magnitude of what we have been discussing, one might even expect a measure of madness to accompany such objective internal impressions of prophesied self-knowledge. Fittingly, “Macbeth” illustrates just such madness. We have already discussed Macbeth’s unwanted regicidal thoughts upon hearing the witches’ initial prophecy; from that point on, his mind slowly frays as he becomes more closely bonded to the prophesied role. The classic moment of this descent into madness is his “dagger soliloquy,” delivered immediately before slaying King Duncan. In various productions of the play, this scene has been played with a literal floating dagger projected before Macbeth, or the dagger being a figment of Macbeth’s imagination, unseen by the audience. Thematically and psychodynamically, however, these are interchangeable situations: both demonstrate an increased reality-distortion on Macbeth’s part as he approaches realization of the prophesied role. The rational for this is as follows: if the dagger is projected before Macbeth by the witches, we may infer with little doubt that it is only perceived by him due to its phantasmal nature, by which we can establish it as an analogue to the ghost of Banquo, which similarly haunts Macbeth and is clearly only perceived by him – Lady Macbeth, in fact, draws this comparison herself when she tried to bring the Banquo-haunted Macbeth back to reality, saying that “This [ghost] is the very painting of your fear. This is the air-drawn dagger which you said led you to Duncan… When all’s done, you look on but a stool.” If the dagger is only a figment of Macbeth’s own imagination, it is even more evident that none but he can see it. So, the only apparent difference seems to be that in the former case, the witches are the direct generators of the image, whereas, in the latter case, it is a creation of Macbeth’s own psyche. It is also worth noting that the point at which Macbeth appears to finally make his decision is at the tolling of a bell – an objectively real, natural occurrence, in contrast with the supernatural prompt of the dagger. In so doing, he is effectively delocalizing the external influence of the witches’ prophecy: he is artificially distancing himself from his id-driven drive by blaming the entirety of his external environment for compelling him to fulfill the ends of that drive. In this way, Macbeth actually effects the internalization of the prophesied role by projecting the formative trait from which it is derived onto his greater external world. This process is the heart of Macbeth’s descent into madness, because it is through this projective mechanism that he loses perceived-control over his world. This is supported by two instances later in the play: Macbeth’s decision to murder Banquo, and his actions taken against Macduff. Macbeth’s soliloquy prior to the arrival of the murderers whom he has commissioned to eliminate Banquo and Banquo’s son son, Fleance, reveals to us both his rationalization of the need to exterminate Banquo’s lineage, as well as the greater picture of how Macbeth’s psychic state has steadily deteriorated after realization of the prophesied role of king. They hail’d him father to a line of kings. Given to the common enemy of man. And champion me to the utterance. Macbeth’s mounting paranoia is epitomized by his assertion that “to be thus is nothing, but to be safely thus.” His sense of powerlessness, a result of his projection of his formative trait outwardly, results in his inability to feel at peace in the prophesied role even once it is realized. Macbeth’s turning against Banquo, once his friend, also underscores an important dynamic of this paranoia: he fears the very forces that empowered him to become king (i.e., the witches). The potentiated body, which could be anyone, can also convey prophesied roles unto anyone. Both “Dishonored” and “Macbeth” have several examples attesting to this: Daud and Granny Rags in the former, Banquo and Macduff in the latter. In Macbeth’s case, the danger is that the potential for anyone to be led to a prophesied role by the potentiating body effectively reinforces the standing social order. Macbeth’s capacity to fulfill his prophesied role is contingent upon his capacity to be the only one supernaturally informed, as this grants him an immense advantage over the standing social order – an advantage necessary for usurpation and subsequent rule. However, as soon as the prophetic knowledge is conveyed onto someone else, Macbeth’s advantage becomes immensely limited. The prophesied role of Banquo as begetter of kings suggests that Macbeth’s rule will be brief, which renders the fulfillment of Macbeth’s prophetic role null and void: the witches, as Macbeth says, “hail’d [Banquo] father to a line of kings. Upon my head they placed a fruitless crown and put a barren scepter in my grip, thence to be wrenched with an unlineal hand, no son of mine succeeding. If ’t be so, for Banquo’s issue I have filed my mind.” Importantly, Macbeth reflects on Banquo’s future and comes to fear his own pursuit of a prophetic role as paving a path for actualization of Banquo’s prophetic role. And this actually seems like a rational fear. Though outside the scope of the text, it is entirely possible that Fleance’s witnessing his father murdered is what set him on the path to regency – after all, Banquo’s final words to his son are a call to vengeance. Thus, we see a tendency of the presence of multiple prophetic roles to conflate individual prophecies, which, in Macbeth’s case, aggravates the psychical tension between his superego and id by increasing the perceived external danger to his personal security. Macbeth seeks to regain his sense of security by returning to the witches for further reinforcement of his position through prophecy, and they summon three spirits, possibly of Hecate’s demonic tier, to outfit him with three opaque prophetic truths: that be must beware Macduff; that he will never be harmed by one who was born of woman; and that he will not be slain until Birnam Wood comes to Dunsinane Hill. This “bond of fate” which Macbeth takes reinforces his sense of security by providing him with knowledge of one apparently easily resolvable danger (Macduff) and two seemingly impossible preconditions for his defeat. Yet, in the same way that Macbeth bonded himself to Banquo’s prophecy, he fulfills his own demise: he enrages Macduff by slaughtering his family, leading him to storm the gates of Macbeth’s stronghold at Dunsinane behind branches taken from Birnam Wood. It is Macduff who is fated to slay Macbeth, because Macduff is a man who was “from his mother’s womb untimely ripped” (i.e., delivered via C-section) Once again, we see Macbeth playing into the hands of a broader, conflated sense of prophecy by trying to secure his own prophesied role of king. When he learns during his confrontation with Macduff that Macduff was not born of woman, he responds predictably by cursing the agents of fate, but simultaneously accepting their will. Yet when Macduff mocks Macbeth, telling him to yield, he responds defiantly, saying, “I will not yield… Though Birnam Wood be come to Dunsinane, and thou opposed, being of no woman born, yet I will try the last.” Macbeth thereby accepts the fate to which he has inextricably bound himself, yet conveys in his last words that fundamental, formative trait for which all his battles were waged: unyielding pride and ambition. In this sense, though he did not intend it this way, his formative trait really was actualized through prophetic fulfillment – the equivocating witches simply achieved this in a way completely unintended by Macbeth. A wise and benevolent monarch, ruling with her beloved Corvo by her side. A ruthless tyrant, guiding Dunwall to its ultimate obliteration by the plague. In the low-chaos scenario, Corvo enters the lighthouse apartment where the Loyalists were holed up and finds Havelock ranting to himself, his fellow Loyalists seated at a dining table, dead – poisoned by Havelock, who feared their betrayal. Emily is locked in a side room. Corvo must choose a way to neutralize Havelock and then let Emily out, after which she follows the Corvo’s example to lead Dunwall into a new age of prosperity. In the high-chaos scenario, Corvo navigates past the other Loyalists leaders on the island who are turning against each other, and eventually finds Havelock alone with Emily at the top of lighthouse scaffolding, threatening to push her off. If Corvo moves too close to Havelock, he grabs Emily and threatens to jump. 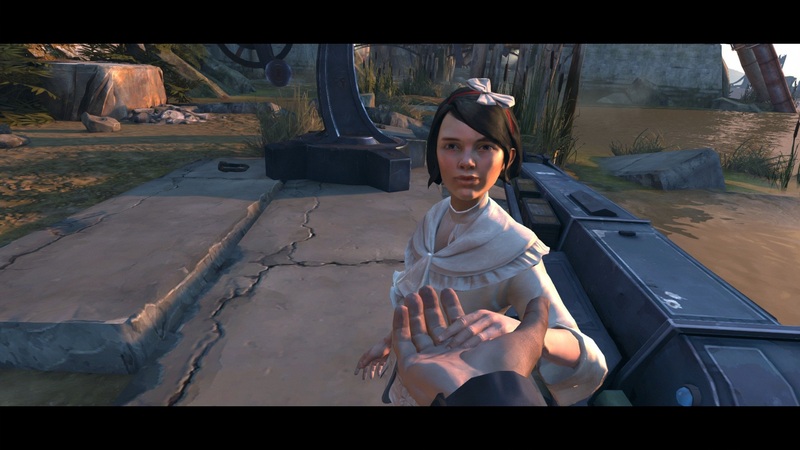 Corvo can either incapacitate Havelock in some way and save Emily, after which she will become a tyrannical queen after the fashion of Corvo’s own merciless path taken in saving her; or, if Corvo either moves to close to Havelock or waits too long, then Havelock will jump, taking Emily with him. Havelock’s last, biting words at Corvo illustrate the overarching dynamics at work. Stay where you are Corvo, or I jump. [Emily implores Corvo to save her] Quiet! He won’t. Will you, Corvo? You had your chance to be a hero. In a minute this will be just another bloody mess you left behind. Did you want your honor back? To rescue the lady in distress? Oh, no, Corvo. That’s not you. Corvo’s purpose, his formative trait, is the reclamation of his honor and the rescue of Emily. Yet here, Havelock jeers at Corvo, saying that that’s “not [him],” and that this, too, shall be “just another bloody mess [he] left behind.” This is largely true: in the high-chaos scenario, Corvo has essentially bled Dunwall dry on the warpath to save Emily. Havelock points out the subtle, crucial truth that the path taken in actualization of the prophesied role affects the operative role, and, by relation, the eventual realization of the prophesied role. Corvo can hardly regain his honor if he clears his name through dishonorable means. This third ending of the game is therefore a powerful representation of the broader implications of this meta-role dynamic: just as Macbeth ended up dead in pursuit of the crown, the operative role can quite literally kill the sought-after prophesied role and conjoined formative trait merely by virtue of the pursuing that prophesied role. Corvo’s choices, therefore (largely enabled by The Outsider), have enormous implications concerning the realization of his end goal, as well as his self-understanding. Synthesizing the dynamics of Macbeth and Corvo’s respective pursuits of and relationships to their prophesied roles, we now have a clearer notion of the prophesied role itself. It is, as we stated at the outset, a future-image contingent upon the operative role’s perception thereof; because it is generic insofar as any number of people could have prophesied roles, the nature of the prophesied role is often bound in opaque ways to other prophesied roles (though, judging by the apparent lack of this dynamic in “Dishonored,” we should rightly qualify this feature with some manner of moral inclination or ultimate goal on the part of the potentiating body – something which is present in the witches and absent in The Outsider); and the reality of the role, when it comes to exist in the present tense, is largely dependent upon the path the operative role has taken in arriving there. This is not to say the operative role makes the choices along its path without external forces impressing influence upon it; but, in the end, the architect of the prophesied role’s design seems to be the operant role. We immediately find a curious juxtaposition: whereas the potentiating body was a hierarchical group in “Macbeth” (the witches and Hecate) and a singular entity in “Dishonored” (The Outsider), the actualizing impetus is a singular entity in “Macbeth” and a hierarchical group in “Dishonored.” Each story therefore appears to have one component of collective influence, and one component of individual influence. To examine the implications of this, we return to the basic affect of each type of influence. We discussed earlier the way in which The Outsider’s freedom from hierarchy increased the intimacy of his relationship to Corvo. A similar dynamic is present in Lady Macbeth’s relationship to Macbeth: the personal nature of their bond by which Lady is Macbeth’s “dearest love” confers upon their relationship a level of trust not otherwise present in Macbeth’s life. We see this in the way they engage in the plot of usurpation together, differentiating themselves from the societal whole in such a way that they actually share asides in several instances, such as when Lady tries to bring Macbeth back to reality when he sees Banquo’s ghost. The moment with Banquo’s ghost underscores the psychical stratification of the operative role within the prophesied role paradigm: Macbeth engages in asides with Lady Macbeth because they have established what might be called a ‘shared prophesied personal reality’ – that is, a way of seeing the future of their world (through usurpation) which is concealed from the greater collective reality. Yet, at the same time, Lady cannot see the ghost that haunts Macbeth. This is a primary characteristic of the actualizing impetus: it is intimately privy to the operative role’s reality, but still psychically discrete relative to the operative role. Lady’s love-relationship to Macbeth puts her in the ideal position to emotionally manipulate the Thane into following the regicidal path, thereby furthering the ends of his ambition as well as her own. She does so by explicitly seeking to augment his formative trait’s psychical dominance, as she discusses in soliloquy after reading a letter Macbeth sent recounting the witches’ prophecies, before Macbeth returns from his first encounter with the witches. Lady seeks to relieve Macbeth of the morality that makes him fear his ambitious drive, and takes it upon herself, using her special standing with him, to manipulate his already malleable character. She encourages him to assume a false countenance to effect the usurpation, which encourages an increased association between the two of them by virtue of their willful separation from the rest of the collective reality. By so strengthening her own position, she is able to goad him into committing the act itself, mocking his manhood at his moment of hesitation before killing Duncan, and saying that his cowardice is reflective of the quality of his love for her. Thus we see that the singular actualizing impetus bonds the operative role to it through object cathexis, thereby enabling the manipulation of the operative role’s psyche from without. The Loyalists, on the other hand, do not exercise such intimate manipulation of Corvo – a nonissue, because Corvo does not need this sort of manipulation. Macbeth came into conflict with his formative trait by virtue of his superego, and Lady therefore manipulated his psyche in order to override this conflict; Corvo has no such internal conflict regarding his need to save Emily. His only sense of conflict comes from the choice of how to save her, which does not alter his determination to realize his prophesied role. Thus, the Loyalists need only to direct Corvo as to how he may achieve his internally motivated ends – a purpose for which an organization-based actualizing impetus is perfectly suited. They issue Corvo missions, offer him cursory reassurance as to the justice he is exacting through his actions, and send him further and further down the rabbit hole of achieving their own ends. Along the way, individual Loyalists request that Corvo further their own desires: for example, when Corvo must incapacitate the Pendleton twins, who are found to be holding Emily for the Lord Regent, Lord Pendleton, the twins’ brother and a Loyalist, implies that he would prefer Corvo to incapacitate them without killing him – and indeed, he handsomely rewards Corvo if Corvo does this. Interactions of this sort color the conglomerate impetus with a largely superficial sense of personal relationship, which furthers the impetus’s goal by downplaying its covert intention to manipulate Corvo through direction of his formative trait. Thus, via manipulation through less-overt means than Lady, the Loyalists are able to realize their goal through employment of Corvo, without Corvo getting wise to their endgame. When the potentiating body is singular and unincorporated, so to speak, the dynamics of the projected prophesied role are much clearer cut, because the role’s design and intention are not handed down the hierarchy, as we see in the case of Hecate and her witches. Hierarchy appears to thereby obscure prophecy, which is no doubt part of why what is actually transmitted to Macbeth is so equivocal. When the actualizing impetus is singular and unincorporated, the operative role is much more vulnerable to manipulation by virtue of the close, intimate bond shared with this impetus; in an organization-based impetus, however, such a level of manipulation is largely mitigated by the fact that the composite members of the impetus body must put their personal inclinations aside (for the most part) in order to present a cohesive directive to the operative role. Synthesizing these, the Shakespearean dynamic of a hierarchical potentiating body combined with a singular actualizing impetus could be used to easily predict the hopeless path trod by Macbeth to bloodshed and self-destruction. The Bethesdian dynamic of singular potentiating body paired with organized actualizing impetus allows for the broadest conception of choice on the operative role’s part, as we have seen time-and-again infused within the narrative of Corvo. We are therefore able to understand the combinatory dynamics potentiating body and actualizing impetus as a matrix for determining the amount of choice available to the operative role. Equally as compelling as this qualitative difference in the actualizing impetuses is the fact that they meet the same end: descent into the chaos of madness. Lady’s madness is exposed through her famous sleepwalking soliloquy, wherein she wanders the halls of her stronghold, with her eyes open, but their sense shut. done cannot be undone.–To bed, to bed, to bed! We enter this soliloquy through the Freudian theory of dreams as wish fulfillment: in this situation, Lady’s nightmare acts out that which cannot be consciously expressed: guilt over her actions (“hers” insofar as, as we just discussed, she compelled Macbeth to order Macduff’s family and Banquo murdered). Clearly, Macbeth is not the only one being haunted, though his ghost seems a more direct result of the witches than Lady’s ghost, which is a result of her own actions taken upon Macbeth. We ought not to be surprised by this: after all, at the outset of her machinations, Lady makes an appeal to the spirits that govern mortal affairs to “unsex her,” to fill her with cruelty and erase all remorseful inclinations. In effect, she compels suppression of those traits that might mitigate ambition, such that she might be in a better position to induce the same in her husband’s case. It appears, then, that the actualizing impetus affects itself severely in the very act of affecting the operative role – it is, in other words, not a one-way street. It is appropriate, then, that she is driven mad like her husband; yet, in many ways, her death is more tragic because it does not bear the insignia of fate. Hers was not an end fated by the witches – she simply doomed herself to it by seeking to manipulate Macbeth’s prophesied role for her own ends. As one might expect of an organization-based actualizing impetus, madness in the Loyalists’ case takes the form of the breakdown of order, which takes different forms in low- and high-chaos endings. In the high-chaos ending, Loyalist leaders Lord Pendleton, High Overseer Martin, and Admiral Havelock all turn against each other on the island, grasping for control as the last semblance of order falls apart. Havelock, as we discussed earlier, seizes Emily and flees to the lighthouse; below, Lord Pendleton, shot, is holed up in the island gatehouse, shot and mortally wounded, as he exchanges hopeless fire with High Overseer Martin, attacking from below. The two power-hungry men, once united in their desire for control and authority over Dunwall, are now at each other’s throats. Samuel describes the breakdown of Loyalist power to Corvo as he ferries him to the island. Looks like they fought, maybe over Emily, just after they landed. I bet the Admiral’s got her locked up in the lighthouse somewhere. If Pendleton’s lost the first round, he’s probably dug in someplace, doing his best to drink himself to death. I suspect it’s Martin who’s got the lighthouse under siege. They turned on each other, at last. So the Admiral is power mad, Martin’s a snake and *Lord* Pendleton is a coward. And you, Corvo… the things you’ve done. You could be the worst of us. So it is that, in having achieved the goal of their design, the acquisition of Emily, the three men stab each other in the back, their own personal greed overpowering the bond they shared – a bond that, by having lead to the heiress’s abduction, has largely served its purpose at this point. After Corvo dispatches Martin, he finds Pendleton crouched in a corner, bleeding out. Pendleton’s last words give his own account of what the Loyalist’s once-grand man has come to. In the low-chaos ending, Havelock, speaking aloud alone before his slaughtered cohorts in the lighthouse, offers a testimony quite similar to Pendleton’s, albeit a bit more involved. Remember when this was just a dream shared by a few angry, desperate men in the back room of a bar? Lord Treavor Pendleton, the neglected youngest son, bullied by your brothers. This is all Martin’s fault. If we hadn’t helped Corvo get out of prison. If Corvo hadn’t been so damned good at his job. If we hadn’t gotten greedy and afraid. If if if. Always too sure, that was my problem. Never hesitated. Too sure of what I wanted to do, when other men stopped to consider. Saw it as weakness. I know Corvo’s coming for me just like he came for the others. Crossing the island below like it was nothing. It’s only a question of how and when. But I’m lacking a countermove. It’s all fallen apart. All the steps that led us here made sense. When I was young I went to sea. Took command of a ship and made aimless men into sailors. Made a collection of boots into a navy. Then founded a conspiracy and almost led an empire. No comprise, never showed mercy, never showed weakness. I showed the world what mattered. Will and vision. And not being afraid of getting dirty. And now, I’ll lose it all to a man with a faster sword hand. Or is it that he has a slower sword hand? There’s something wrong with the world. It will make a good story for the histories. I’ll have a good epitaph: “In his time, he commanded a noble Lord [Pendleton], a High Overseer [Martin], and an Empress [Emily]. The man who brought down a tyrant.” Admiral Havelock, Son of the high Ocean. From the Admiral’s last speech, largely detached from reality, an image comes into focus of a psyche fraught with rationalization, projection, and a frenzy that could be likened to Lady Macbeth’s. We must note too that Havelock largely blames the Loyalists’ manipulation of Corvo for the impending doom now upon him. This is largely true: it was the Loyalists’ pushing Corvo to success, while simultaneously suppressing their own individual identities and desires, that prompted the explosion of the suppressed Loyalist personalities upon acquisition of Emily. Havelock copes with his newly repossessed individual self by defending it, desperately seeking to maintain his sense of personal identity by offloading the blame for disintegration of the Loyalists’ common goal onto his former comrades – though he has a moment of acknowledging his own faults, he quickly returns to mere rationalization. Again, this is understandable: with his plans falling apart around him, his identity is all he has left. Lady Macbeth succumbed to madness from the suppressive measures she undertook to effect her selfish advancement through her husband; similarly, the Loyalists met madness when they were forced to confront the individualism they had suppressed during the time in which they were acting as a singular actualizing impetus. Thus, each case is a picture of the actualizing impetus as a self-motivated manipulator who seeks to effectively direct the operative role single-mindedly to the ends of the prophesied role by suppressing parts of their (i.e., the actualizing impetus’s) own identity. This process, in a Freudian framework, leads to advanced neurosis, inducing acute pain when the self-imposed deceptive field of suppression is shattered. Defense mechanisms inevitably take over, to the point where any further action or resolution is absolutely precluded by psychical paralysis. The actualizing impetus is a precariously perched self-advocate, entering into the suppressive paradigm of the prophesied meta-role for the purpose of self-advancement, but almost inevitably ensuring self-destruction in the process. 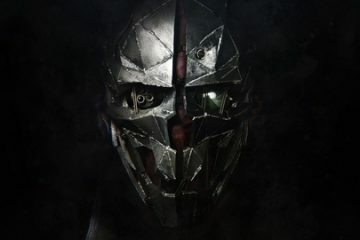 In the low-chaos ending to “Dishonored,” if Corvo approaches Havelock, he will offer him the key to Emily’s locked room and stand before him, giving him the opportunity to kill or subdue him. Yet, whether Corvo takes the key or confronts him, the Admiral will immediately burst forth in a fit of furious swordsmanship, fighting Corvo tooth-and-nail to the death. This typifies the bizarre, overarching paradox of the actualizing impetus: to participate in the prophesied meta-role paradigm is to tacitly endorse and submit to the operative role’s destiny, upon which the paradigm is based; and yet to at the same time, to do so is to forfeit any stake in this destiny. There is no prophesied fulfillment for the actualizing impetus; it is only the greed within them that creates their envisioned future, which becomes dependent upon someone else’s fate and their own self-renunciation. To condense this treatment to a single point, we have uncovered a paradigm of pigeonholing: an operative role is redefined exclusively in terms of its dominant drive by the introduction of a realistic path to fulfillment of that drive’s ends; and external, selfish forces help the operative role along this path for their own ulterior motives, at the cost of pigeonholing or otherwise suppressing themselves. Particularly against the backdrop of “Macbeth” and the high-chaos endings of “Dishonored,” it may rightly feel difficult to conceive of a way in which this could at all relieve the image-evolution paradox – or, indeed, to anything else. In stepping back and considering this paradigm’s implications, however, we might come to see that our knowledge and implementation of the overall paradigm might be far less oppressive than its component pieces. From our first assessments of perceptual dynamics in “Dishonored” to our final assessments of the functional range of the actualizing impetus, a constant consideration has been the matter of choice provided to the operant role within this paradigm. The actualizing impetus is clearly oppressed via self-renunciation, but, while a level of manipulation is always exerted on the operative role, the operative role is not necessarily oppressed as a result. After all, at the most fundamental level, the operative role is merely being offered and enabled to follow the path it is most driven to follow by its formative trait; the elimination of choice in how this path is tread is effected, as we have seen, by a moral potentiating body, a hierarchical potentiating body, or a singular, personal actualizing impetus. When viewed in this light, it is no wonder why “Macbeth” is so bleak: its paradigm has all three of these “negative types” tending to remove the operative role’s capacity to choose his own path. In contrast, “Dishonored” offers a paradigm with all the “positive types” of these component dynamics: an amoral potentiating body, a singular, personal potentiating body, and an organization-based actualizing impetus. In a world just as bleak as Macbeth’s – a plague-beset city ruled by a usurping, curiously Macbeth-like tyrannical Lord Regent – a happy ending is possible for Corvo as well as a tragic ending. The locus of control for this difference in outcome is within Corvo himself. Yet given so many preconditions for this scenario, is this message an empowering one of the human capacity for choice, or a bleaker one of near-certain manipulation? Let us abstract from the context of the game and consider the real-world applications of this paradigm. First, as we have already suggested, there is nothing requiring a literally supernatural force(s) within the framework we have developed – both “Macbeth” and “Dishonored” go out of their way to indicate that the specific entities serving as the potentiating bodies are in no way unique. In fact, the potentiating body can be any force which exists with some level of separation from the operative role’s commonly-understood and inhabited reality, and which offers the operative role a vision of future fulfillment in the manner of a prophesied role. So ‘potentiating body’ is a far more broadly applicable term than a moniker for god-figures. To demonstrate the usefulness in this understanding of the paradigm, we will take as a realistic example the concept of education, though any number of examples could be used here (systems, in particular, such as the judicial, governmental, educational systems, are particularly salient examples because they, by design, are separated from reality in the sense that they exert themselves upon the larger society/system). We can read teachers as potentiating bodies. They are separate from the student’s (read: operative role’s) greater world insofar as they operate within the specific system of the school for the purpose of giving the student the knowledge (abilities) necessary to travel the path to where they see themselves in the future (the prophesied role, defined by the student’s formative trait). Along the way, the student may be pushed by any number of pressures: family, peers, society (examples of actualizing impetuses), all of which seek to force or guide him along the path, in large part due to their own interests or ideas of what is best for the student. Again, this analysis may be repeated with any number of examples, particularly with systems or institutions. We can see by the method of analogy that the prophesied-role paradigm does mitigate the image-evolution paradox through an imperative or responsibility, much like our treatment of the platonic meta-role paradigm. Even if we contain our paradigm to a critique of institutional/systemic examples, we have just demonstrated that such systems by their inherent nature have the capacity to drastically influence the capacity for the participant’s choice in his or her own development, as described in terms of the path to the future self understood as the prophesied role. At their best, schools can enable students to walk into their future in any way they choose; at their worst, they pigeonhole them into an inescapable, suppressed, half-existence. We have three criteria for the mitigation of this paradigm’s dangers: an amoral potentiating body, a singular, personal potentiating body, and an organization-based actualizing impetus. This, too, can be translated into a model for responsible systems. In our school example, our treatment theoretically demonstrates the need for the student to have a personal, one-on-one relationship with their teacher in the learning process, and the need for those who might pressure the student to be more aware of this and consider themselves a single component of a larger, collective pressure, such that their individual weight is reduced in the student’s eyes. Bracketing the question of whether an amoral education is possible, we will simply say that we have demonstrated the need for the teacher to teach as objectively as possible, and to assess one’s moral compass such that, where moral interference is unavoidable, the morals that interfere are at least defensible morals. Such an approach to systems would theoretically empower the participant with greater choice in his or her ever-evolving sense of self. This would mitigate the image-evolution paradox because a large part of the issue in the paradox is a sense of conflict between the understood self at any given moment, and the dynamic nature of the self across time. Such a conflict is necessarily aggravated when the self does not understand why it has changed in the ways that it has over time. How is it ever to understand such change if the choice of how to change was never truly in the hands of the self as an operative role? Before seizing the branches of Birnam Wood and marching on the tyrant Macbeth’s fortress, Malcolm turns to his fellows and declares that “[he hopes] the days are near at hand that chambers will be safe.” In closing this treatment, we echo his words in hoping that the days are near at hand when the destructive influence of negative-typed components of the prophesied meta-role paradigm is no longer an issue. After all, how shall we ever be safe in our chambers, if we did not choose those chambers for ourselves? 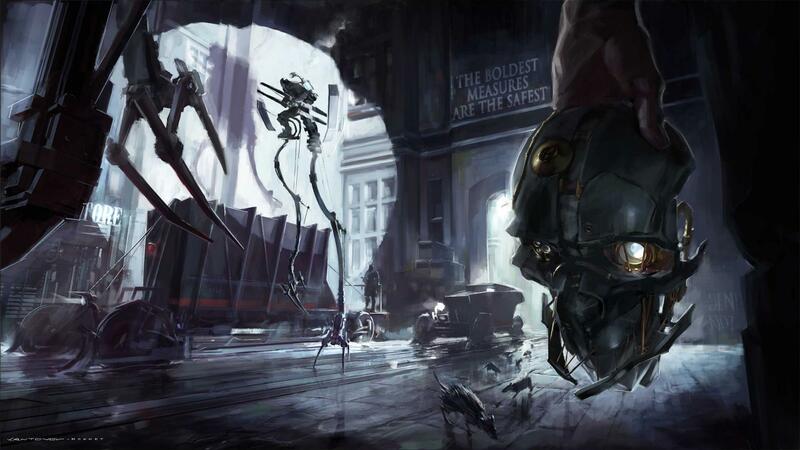 “Neutralizing Havelock” can be as innocuous as merely stealing the key to Emily’s room; Corvo does not need to render him unconscious or kill him, although these options are available to him as well. A study in how a sequel can change the meaning of an original—not always for the better.